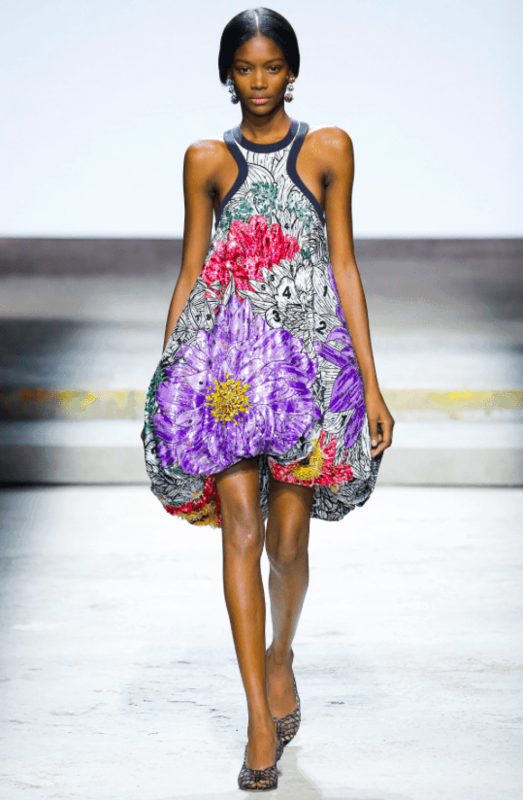 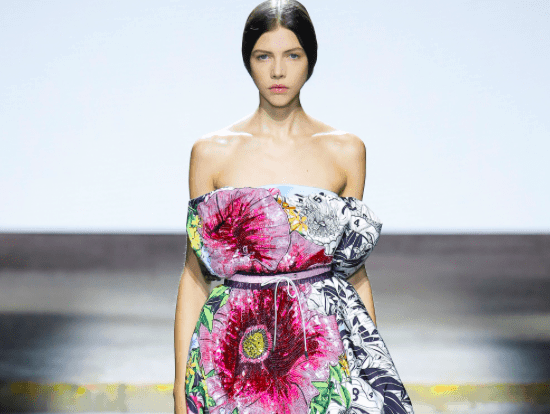 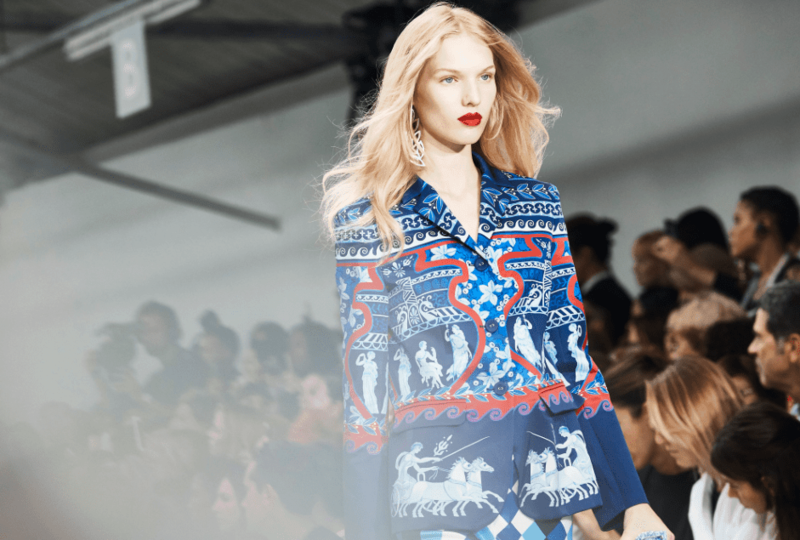 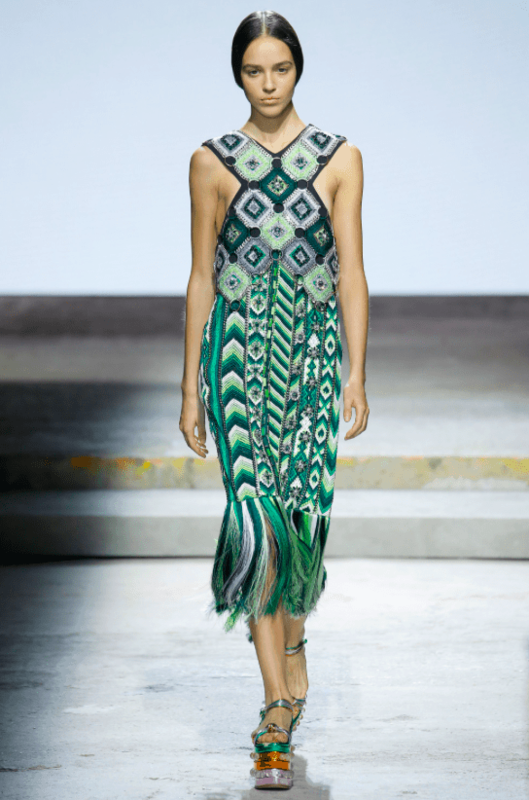 Athens born fashion designer Mary Katrantzou presented her childhood inspired collection for Spring Summer 18 at London Fashion Week, wowing international fashion editors, critics, celebrities and bloggers alike with her use of bold colours and patterns. 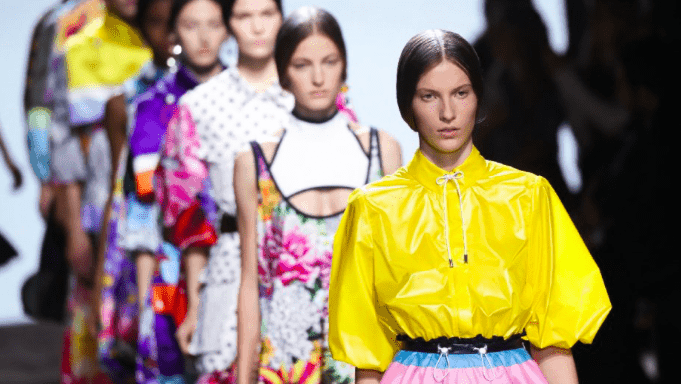 Her collection featured florals, intertwined with perspex blocks inspired by Legos, and hand-braided details meant to reflect the good old days of handmade friendship bracelets. 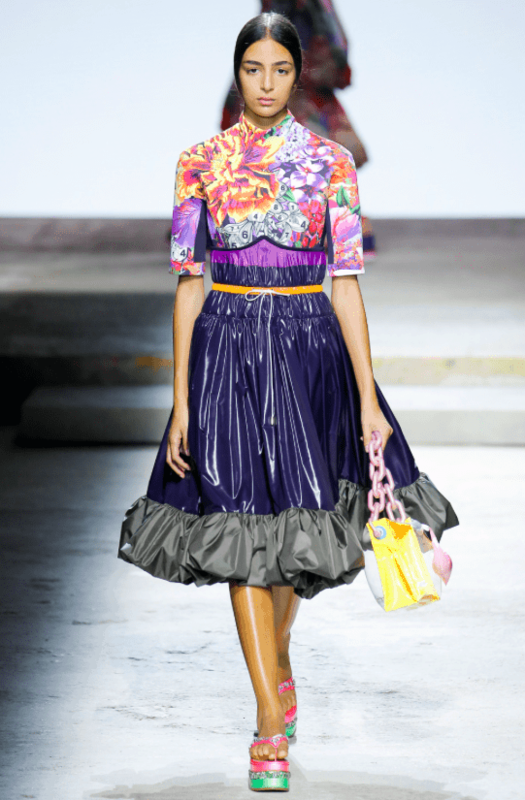 Bubble dresses and skirts in voluminous shapes were made of nylon, drawing on images of kid’s balloons, kites and camping trip tents. 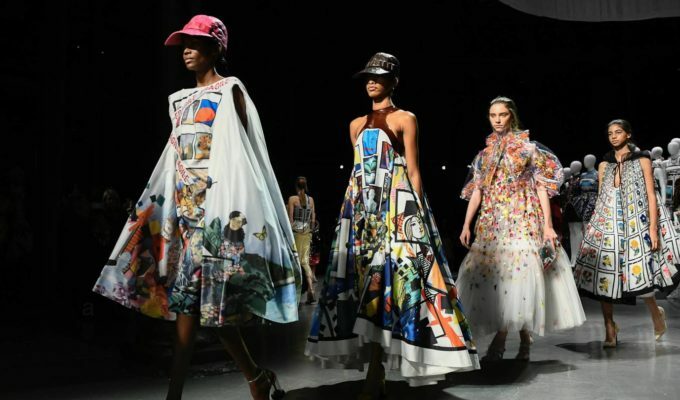 Her finale dresses stood out with large, sequinned flowers, a puffy-skirted Cristóbal Balenciaga ’50s gown, and a hot air balloon showcasing all her talents. 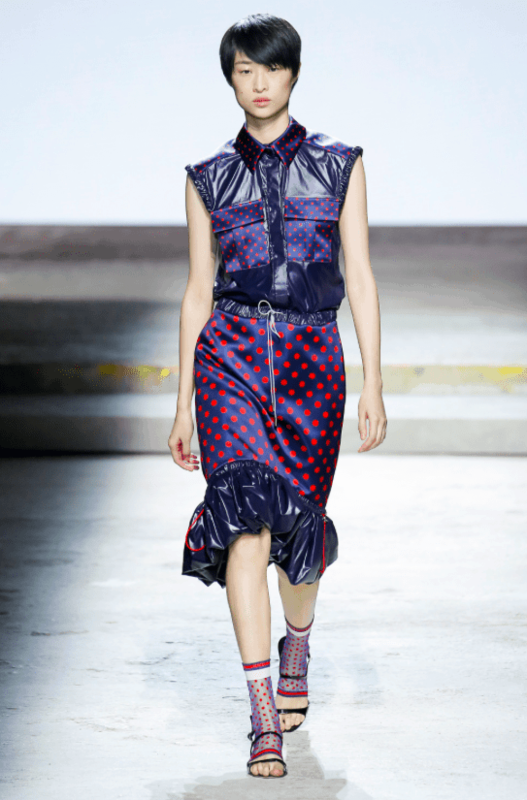 There was also an array of stylish sporty nylon rainwear, which we are sure celebrities worldwide can’t wait to get their hands on, as the recent rain during summer has put women everywhere in need of some sleek waterproof gowns in their wardrobe!